So it’s time once again for this huge collection of low carb recipes to make another appearance! Time for family and friends to get together to celebrate…so I thought I would gather some truly awesome recipes to help you stay on plan and still enjoy the all the festivities to the fullest. That’s why I searched the world wide web for the best of the best low carb recipes for you to enjoy…bundled together all in one HUGE handy roundup blog post! We’ve all been to a party or dinner where there was nothing we should eat, but we ate it all anyway, right? Well now you can come prepared to the table without guilt or remorse. Most of these recipes fall into all these – low carb, keto and Trim Healthy Mama-S too! 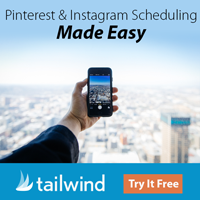 Be sure to bookmark this post, you’ll want to refer to it again and again! I’ve separated these low carb holiday recipes into categories to make it easier for you. Hope it was helpful! And here’s another big blessing from Kalyn’s Kitchen! 25 Low carb and gluten free holiday side dishes, appetizers and salads. Over at Community Table I found 19, yes 19 low carb candy recipes!!! The peanut butter cups and the sugar free pumpkin truffles look to die for! Here’s 15 Low Carb Holiday Desserts from 730 Sage Street. Yum…Pumpkin Cheesecake Bars! There are some pretty decadent goodies listed here! WOWZA!! All Day I Dream About Food has The Ultimate Guide To Low Carb Holiday Baking with 44 cookies, cakes, breads, drinks and more! I sure hope you enjoy these great low carb holiday recipes every bit as much as I enjoyed compiling them for you. Instant Ramen Noodles…Yummy Little Bowls of Death? What a collection. Thanks for including me. Perhaps you might fix my blog name which is spelled wrong on the second link, thanks! Oops, sorry Kalyn! My editor didn’t catch that (haha), glad you did! You are very welcome. I love your recipes and will be sharing more in the future. Happy Thanksgiving! 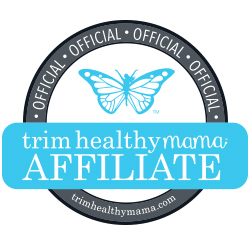 Celene Harrelson recently posted…Trim Healthy Mama, Finally A Food Plan I Can Live With! Love recipe roundups! So much fun looking through them! Bec recently posted…Is The KitchenAid Pasta Roller And Cutter Set The Best In 2018? amazing recipe roundups love it! congratz. So glad you found them helpful Marcelo!